The PowerShot ELPH 180 is not only Slim and Stylish, but it’s also Simple to use. 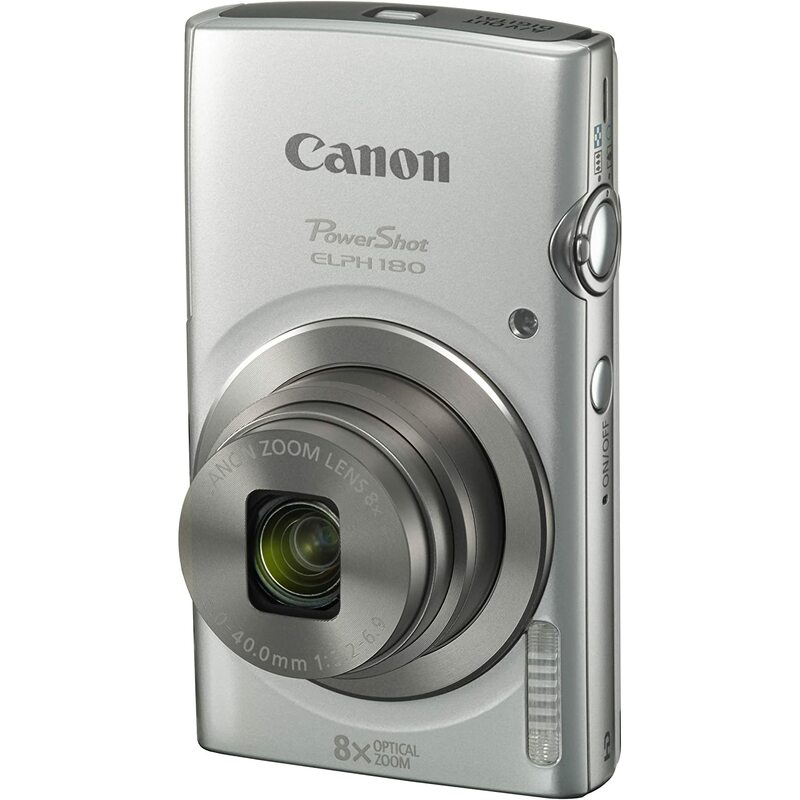 High-resolution shooting featuring the Canon PowerShot ELPH 180 20MP from Canon is a convenient point-and-shoot featuring a 20.0MP 1/2.3″ CCD sensor and DIGIC 4+ image processor. To prevent blurring from occurring, the camera uses Digital IS. On top of using Digital IS it also uses the Auto Zoom feature automatically to close in for easy shots. The smart AI technology featured by this camera selects the proper settings based on the situation of the shot. “Always having to go through and change the setting’s can get tedious, as a result the Smart AUTO will automatically change the settings to support the background”. There are over 32 different predefined shot situations. All you do is aim your camera and just take the shot. Both the processor and sensor feature great image quality for pictures standing still as well as HD 720p video recording at 25 fps.